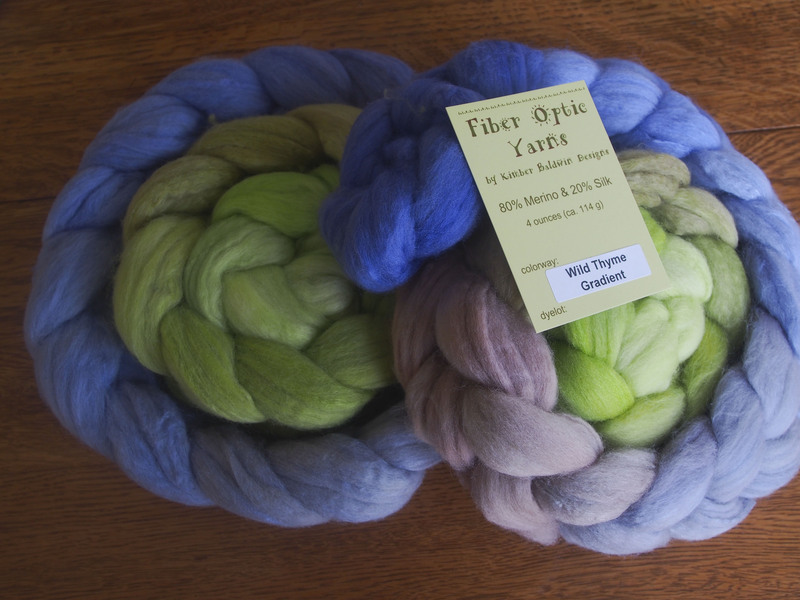 First there was YarnCon, then Lorna’s Laces sale, and this past weekend was The Fiber Event at Greencastle, the kick-off to the county fiber fairs in the area. Located just west of Indianapolis, it is an easy drive down and back in a day. 2012 was my first trip to Greencastle, and I loved it. Andi went with me, we had a great drive, talked, and shopped, and found GeeGee. My impetus at that time was to find the Fiber Optic booth and see all of her wares firsthand for the first time. A torrential rain the night before we were to leave last year made getting out-of-town nearly impossible. So, this year I was even more determined to go, and really wanted a knitting buddy. My husband would have gladly loved the trip, but he does better when there is also a livestock display involved. Lynette agreed to go with me, and we got a rental car early and drove off to get there in the morning for best selection. 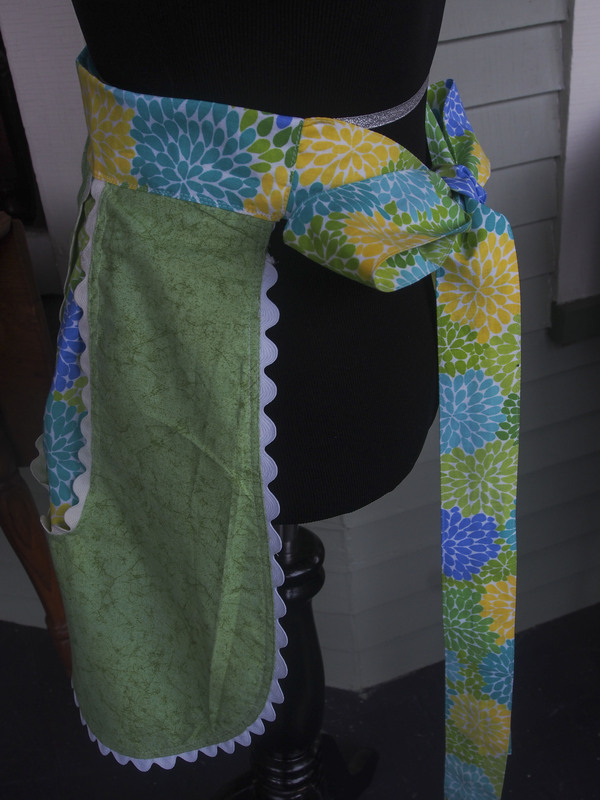 First on the list was to make a beeline to GeeGee and score some of her aprons while the selection was still good. 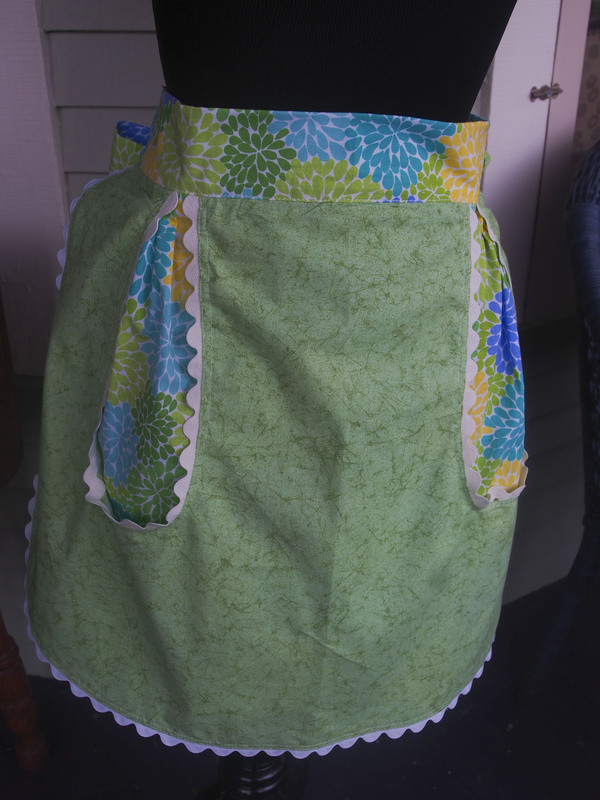 I could have left with many more… I chose this lovely apron, from the early 1950’s for me. I really love the pocket that goes all the way through both sides. 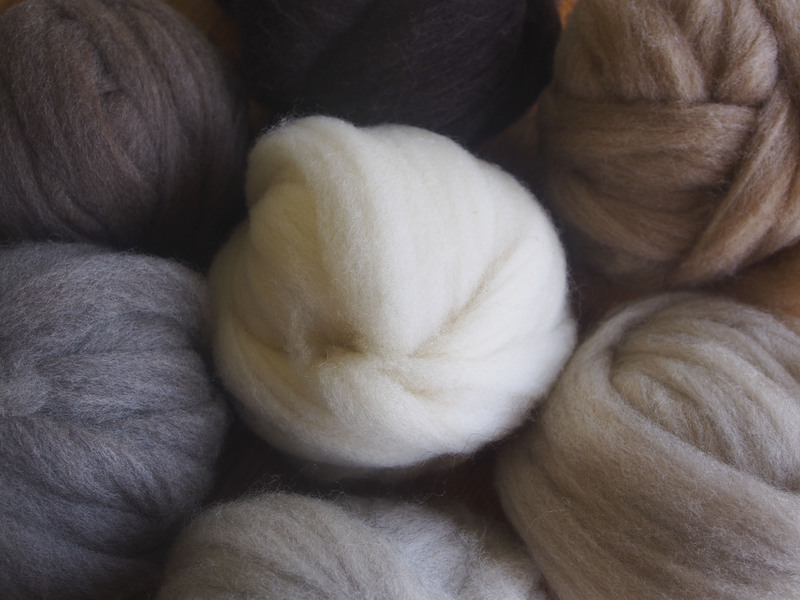 I think it will be great to toodle around the house in and have things (think knitting) close at hand. 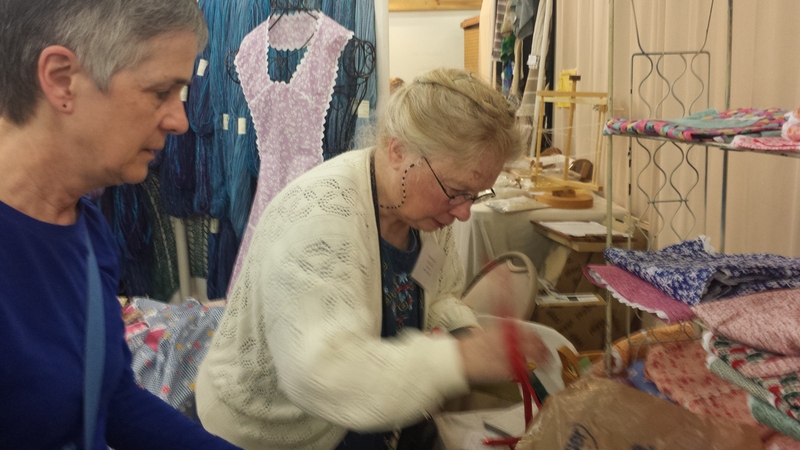 Here is Lynette purchasing from GeeGee, we made quite the dent in her booth. 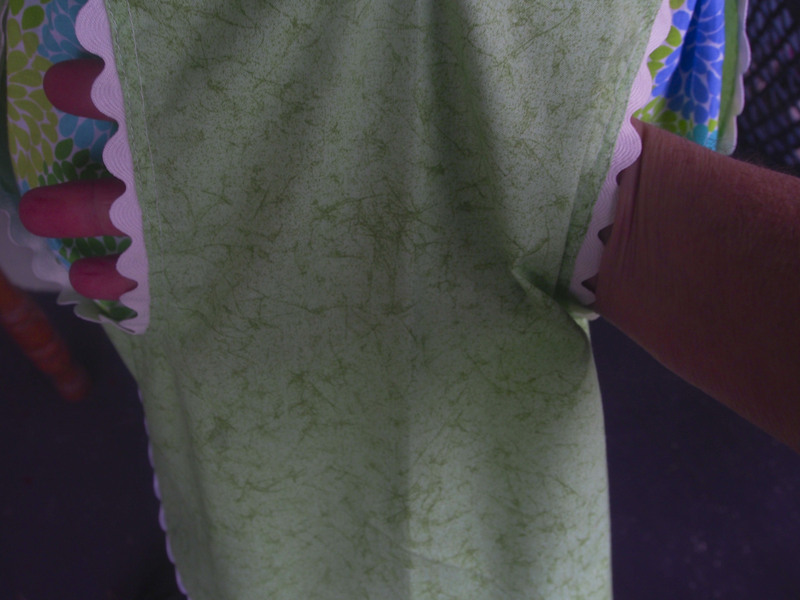 I absolutely love her aprons, and she has such a great sense of color. 75 years old, and full of life and optimism, a great inspiration. Then it was off to take a first pass at all of the vendors and see what caught our eye. There were a lot of Alpaca vendors this year, many more than I remember 2 years ago. 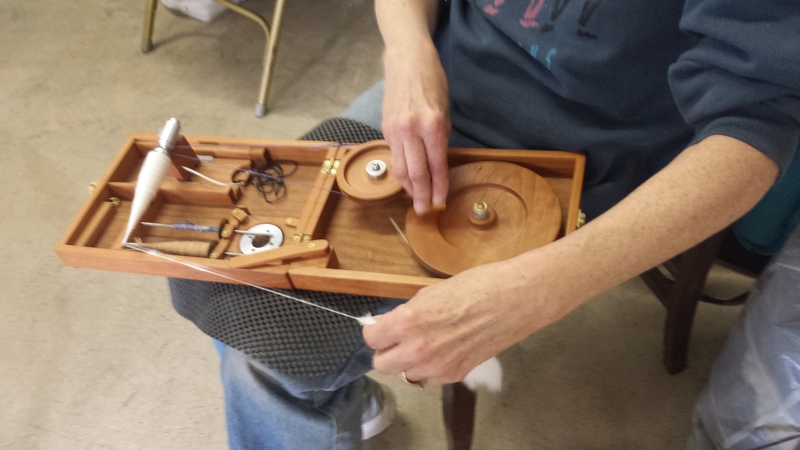 We saw someone from the Champaign-Urbana fiber guild demonstrating a Chakra, that was really interesting. I knew that I would be returning to Fiber Optic, just what to buy this year? A gradient of course! My 2 favorite colors together, green and purple. This is a definite Frances shawl! Lynette is trying the paintbox gradients, it will be fun to see how they knit up. 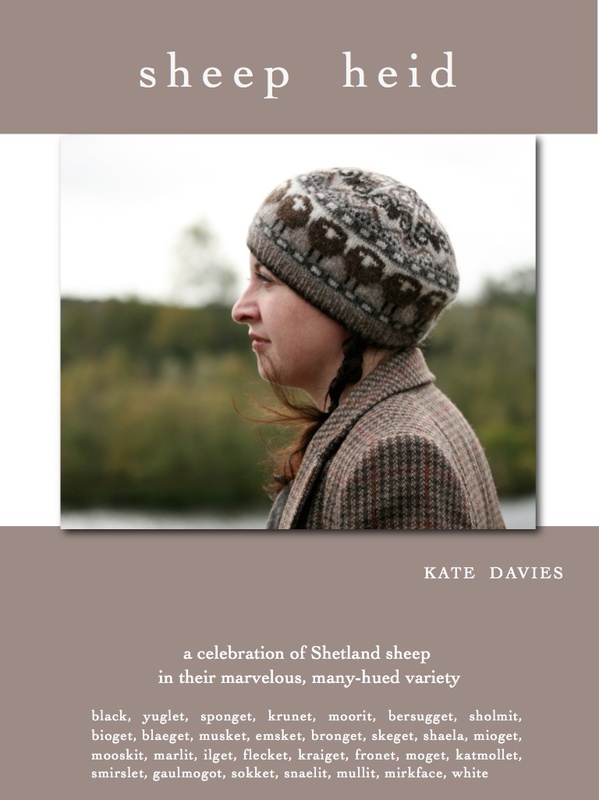 I have always wanted to knit the Sheep heid tam, so found the pattern and knew that I needed to get that. 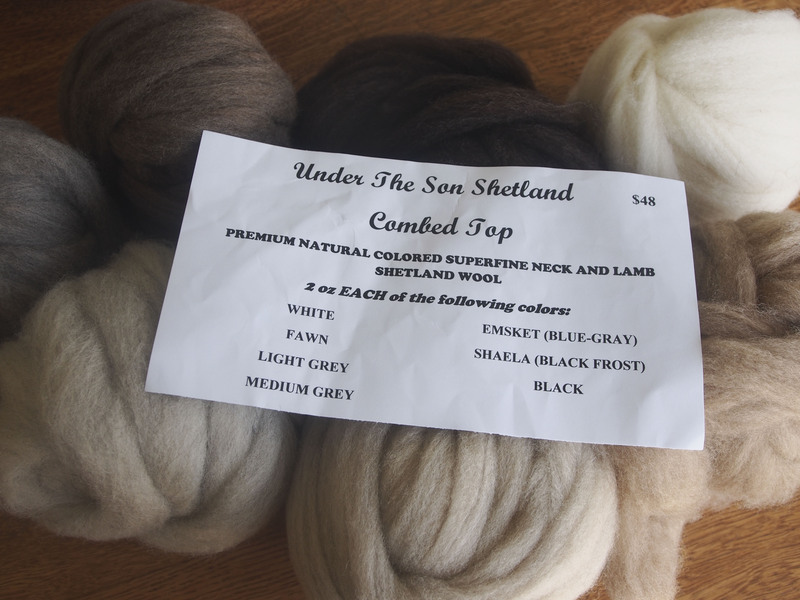 Then, it just so happens that we passed by a Shepherd who had many colors of Shetland sheep, perfect symbiosis. I scored these 7 colors, couldn’t be better than handspun for this project! 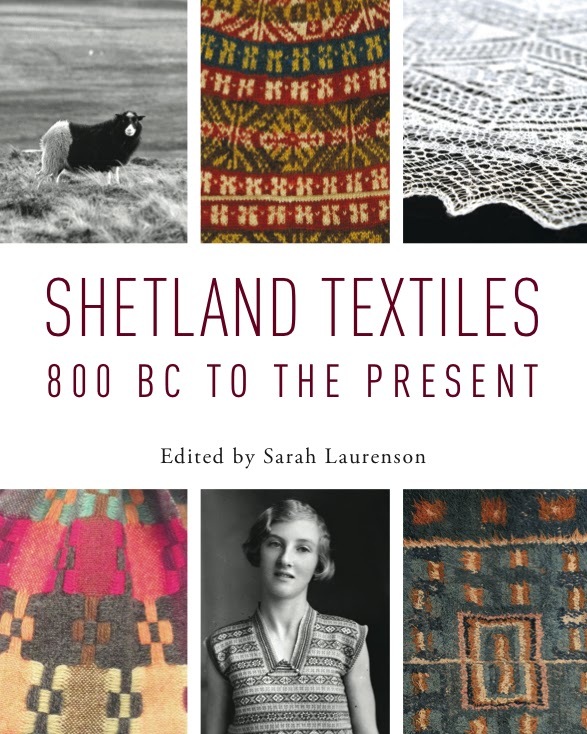 And keeping with the Shetland theme, I purchased a beautiful book, that deserves its own post tomorrow. Looks like so much fun! 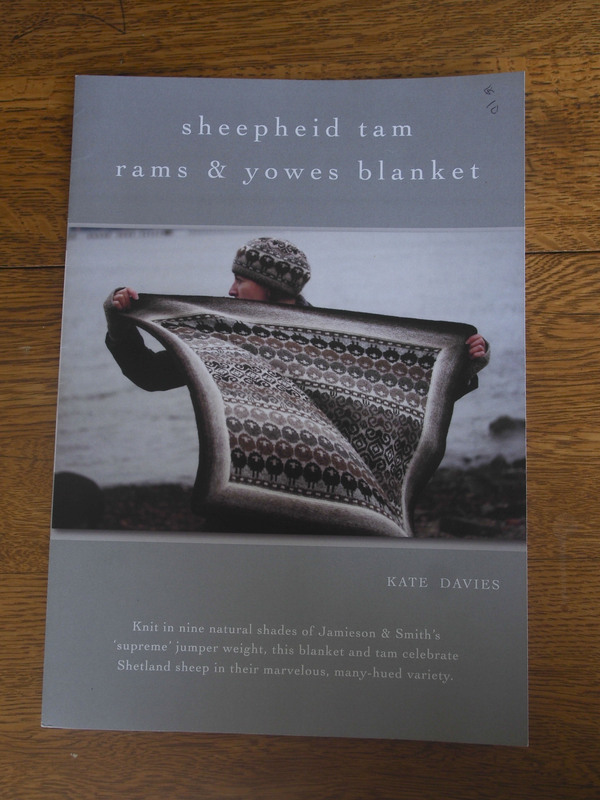 One of these years…Interesting that you’ve wanted to do the tam because I want to do that blanket.